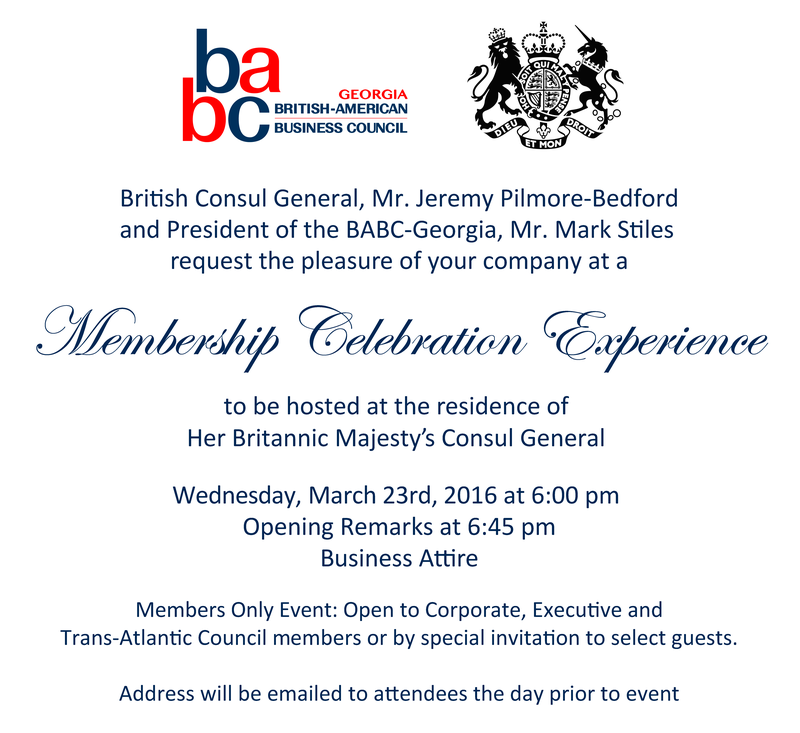 This business networking event is complimentary and open only to members at the Corporate, Executive, and Trans-Atlantic Council levels. We will be reviewing the benefits that are available to you as business members of BABC-Georgia. Current members at these levels, please check your emails for an email with a link to RSVP. The email was sent 3/4/16. 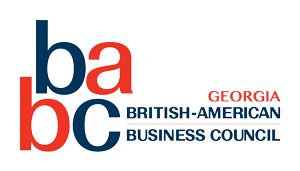 To BABC Business Members: this event is a nice opportunity to share the benefits of membership at these levels with interested parties. If you know someone who would benefit from a membership at this level, please click here to complete an online form with the contact details for the interested person. We will review the requests and extend individual invitations as appropriate.